Women contribute in ensuring that democracy continuously evolves and within the same, avenues of sustained women empowerment open up. The heightened voice of women as voters in democracy is not an initiator. Rather it is an outcome of long and strenuous efforts by women actively engaged in political society of India. The role of women in formal politics pre-dates Indian freedom. 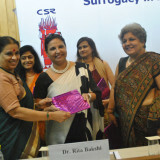 Women were instrumental in the quest for universal adult franchise in India. Women’s group united and voiced against the separate electorates based on religion in pre-independence India. They actively opposed it as it would hinder women from participating in active politics by putting them at disadvantaged footing in comparison to their male counterparts. The active engagement of women in formal politics continued post-independence, when women fought for modifications in Hindu Code bill and asserted for their rights on property. This had led to wide divisions and disputes in the Lok-Sabhas following independence. Time and again women parliamentarians have brought to forth and fought for women centric issues. 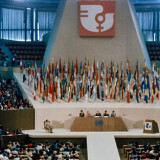 Women constitute nearly half of the entire population of a country. In the context of India, where they still form the minor portion of the population, it is not unjustified to call them the largest minority. While, this statement has to be treated cautiously as in a multi-cultural country like India, not all women are same, yet, they are still tied by a common thread of being disadvantaged solely based on their gender in addition to other social positionings. In a fair world they would be equal participants in any decision making and political process. But often this equilibrium is not the natural state of affairs. It is said that women are repository of culture and tradition, and hence social policing is stricter and more rigid for them, so is the systemic disadvantage and curtailment on agency for women. Therefore, there have to be active efforts on parts of different organs of political and civil society to instate a state of equality wherein equipping women with greater agency, capability and choices in political spheres. The proponents of democracy have often argued for the superiority of democracy in providing equal opportunities for women and other disadvantaged and marginalized groups to voice their concerns and be partners in nation building. While, the argument holds merit as out of present systems of governance, democracy in its theoretical foundations provides the maximum space for all divergent social groups to participate. Yet, the marriage of theory with reality is not natural. Democracy as a form of modern governance has been hailed as most participatory in nature. But it has often been observed that democracy if placed in a society composed of multiple social cleavages, fail to act as a levelling mechanism on its own. Democracy just like any other social and political institution is not fixated in time, rather it evolves over time and needs to be actively strengthened and protected against authoritative and hegemonic powers. Democracy being a political system embedded within socio- cultural milieu of a society is heavily swayed by the inherent power relations, and apparent democratic processes can be often underlain by undemocratic procedures. Using the very participatory political space provided by democracy, it needs several enabling factors to allow for full and equal participation of each and every person in the sovereign boundary of a particular democratic country. Democracy and process of democratization are both affected and in turn affect the process of social and distributive justice, and participatory governance. It is essential to understand that a mere right to participate in political process through voting is not the zenith of democracy. Instead, the ability and ease of using free agency based on availability and access to unbiased and free information as well as ample opportunities and freedom to participate at all levels of political functioning is strengthened and mature democracy. The discussion till now focused on why democracy is not a perfect system providing equal opportunities. This snippet was vital to establish the context of what is meant by a holistic and mature democracy, and why there is a need of strengthening it. While it is true that 2014 general elections saw the most visual unification of women voters into a unified and politically viable voter group it was not the first time that women had voted in large numbers. Rather they have done so in 1984 elections, post the assassination of Indira Gandhi, and voiced their condemnation of violence and brutality in politics. 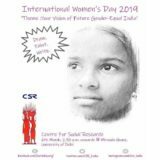 The female voter in India has been becoming more politically aware, independent and increasingly using their free agency, moving out of the shadow of the male members of the family. It is this political maturity within female voters that has brought the issues of women to forefront at electoral campaigns and political manifesto. The impact has been the increased debate and discussion around the issues of women and child rights. The prominent example of this electoral maturity and strengthening of women as a uniform group transcending their internal stratifications, has been the heavy-handed role of women voters in victory of BJP and their prime ministerial candidate in 2014 general elections. The election campaign was heavily laden with promises of female safety and security, which was able to attract a large number of women voters. Same has been the case with the winners in the 2018 State assembly elections. The increased participation of women in democracy as voters, and the resultant compulsion for political parties to voice the demands and incorporate women centric issues, points towards the role of women as voters in strengthening the democracy. Using this increased visual contribution of women as voters as point of departure, it has been often fallaciously argued that role of women in strengthening democracy has been recent. This unification of women as voters is an outcome of long struggles by women at different levels of political and civil society that facilitated the maturity in democracy to enable women voters. The increased emphasis by feminist scholars and activists to analyze household as a segregated unit composed of complex power relations, has enabled to concentrate efforts towards increasing access to power for females within households. Now the political information within household is no longer hegemonic domain of the male members, rather it is gradually diffusing. One cannot undermine the role of Geeta Mukherjee and Promila Dandavate in their struggle for 108th constitutional amendment of Women Reservation Bill. It has to be admitted that often despite several women parliamentarians fighting for the cause of women in formal politics, they have often been unable to usher in legislative reforms on their own. This is widely due to the active fencing of politics from women, resulting in minuscule number of women as parliamentarians, who often on their own are unable to get the desired legislative outcomes. Yet, these women of national prominence act as symbols of female strength and power and act as strong role models for the women of the country, motivating them to increase their participation in the democratic processes. One domain of the formal politics that has recently seen surge in active and effective participation of women has been the Panchayati Raj and local body institutions, where it has been constitutionally mandated for reservation of seats for female candidates. Within these institutions, when present in substantial numbers, women gain sufficient power to alter the political landscape. It has often been seen in various researches that women local body legislatures have worked more for welfare schemes. 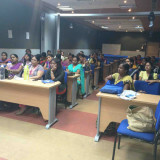 Apart from their role in provision and increasing access to welfare schemes, these local leaders act as strong magnets for women to increase their participation in democracy, and pave way for democratic institutions that are placed at more equalized footing, smoothening the multiple slivers of divisions within Indian society. Engagement of women in strengthening the democratic space of the nation is not limited to voters or formal politicians but is composed in large proportions of women movement organisations. These organisations have been the dominant mobilizing vehicle of women in the Indian democracy. The women rights organisations operate in distinct ways. The two dominant streams have been- active political engagement and capacity building. The former has been instrumental in ushering in constitutional and legislative amendments by acting as a strong pressure group, often acting as a bridge between political echelons and common women. 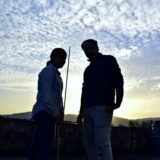 Given the nature of Indian democracy emanating from the nature of its freedom struggle, civil society often overlaps with the political society in India. Very often, the women legislatures who have been most vocal for female centric laws have been part of the wider women organisations and civil society. These organisations have been consequential in formation of laws such as anti-dowry laws, constitutional provision providing Hindu women right to ancestral property, laws against domestic violence, sexual abuse, etc. 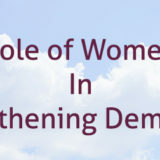 The other wing of the women movement though working in distance with the active politics, has been of vital importance in preparing a functioning and capable base of women to enter and engage effectively in democratic processes. These organisations have been working for years in providing training to the elected women legislatures, provision of education and other life chance opportunities, as well as monitoring implementation of the laws safeguarding rights of women and ensuring gender justice. These organisations have been instrumental in provision of skills necessary for strengthening democracy through informed agency at grassroot levels. It is evident that involvement and role of women in strengthening of democracy has not been unidirectional, rather it had been diverse, impacting all possible facets of democratic life. Women in their various capacities have utilized the opportunities provided by a democratic system and have engaged actively in directing the nascent democratic institutions towards mature democracy. Yet, there remain several gap areas that need to be filled in order to create conducive conditions enabling women to harness their full democratic potentials and further strengthen democracy. The number of women in parliament and state assemblies remains dismal. Though this number is rising but the pace is disappointing, and it is further questionable that how many women members in parliament engage with women rights issues. In past few years, the involvement of women parliamentarians raising and fighting for women rights issues is dismal. This cannot be solved until there is substantial number of women in parliament, like in local body institutions, providing enough voice to women to sway decision favoring gender equality in heavily male dominated parliament and state assemblies. It is of utter importance that sufficient affirmative action is provided in form of constitutional reforms enabling women to engage in legislative processes and have greater voice in the active nation building. This is vital to direct the politically charged women of the nation into active participants of policy formulation, shaping and strengthening the democracy and process of democratization.